The Beach Dog Daycare is a full-service dog facility catering in doggie daycare services also offering training and grooming. We are a fully CPR certified staff and are a hands on cage free facility. We like to treat your dogs as if they were our own so we try our hardest to incorporate a home environment for your animals. The beach dog daycare is 2,300 square feet of indoor space, plus more outside space for fresh air and free play. All dogs are matched and kept in separate rooms depending on their size and personalities. 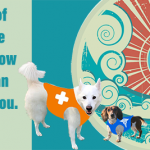 Whether you are a doggie daycare client or not we still offer our grooming and training services. Having a professional dog groomer on hand makes it easy for you to book an appointment and have your grooming needs taken care of through our grooming menu located on our website. 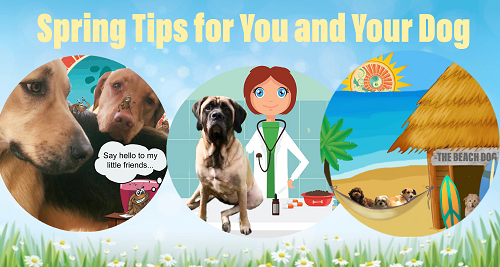 You can easily pick your grooming requirements and book your appointment online or call the daycare directly. Our dog-training program works the same way. 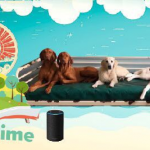 The Beach Dog Daycare also prides itself on a few enmities that are unique to our doggie daycare alone; we have a PureAire UVC system, which helps us to keep pure air circulating throughout the facility. This ultraviolet technology is placed in our air filtration system and kills any airborne mold spores, viruses or bacteria. Our doggie daycare also offers a valet service to any of our clients within a 10-mile radius of our facility. We know how busy you are so our valet system scratches one more item off of your to-do list. 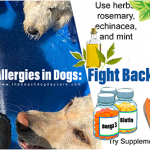 Miss your dog during the day? Simply log onto our website and view your animal at anytime during the day using or webcam system. Visit our website to better acquaint yourself with our services, staff, and our online enrolment forms. Sonora DesignWorks is Best of Newburyport Website Design & Development. Whether your business is a brand new start-up or an established Fortune500 company, when you work with the Sonora DesignWorks team, you get a website that’s a perfect fit for you in terms of design, functionality, and budget. Sonora has the expertise to listen to your vision and provide you with basic or elaborate solutions to achieve your project goals. Their design experience enables them to advise clients regarding the benefits and challenges of one implementation versus another. 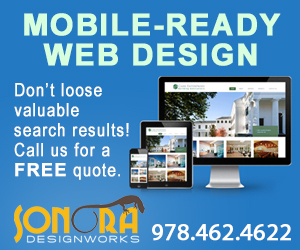 Not only can Sonora help execute your vision but they also have the experience to help ensure your site is mobile friendly. Trust your website design and development needs to the Sonora team so that you can focus on the daily operations of your business. 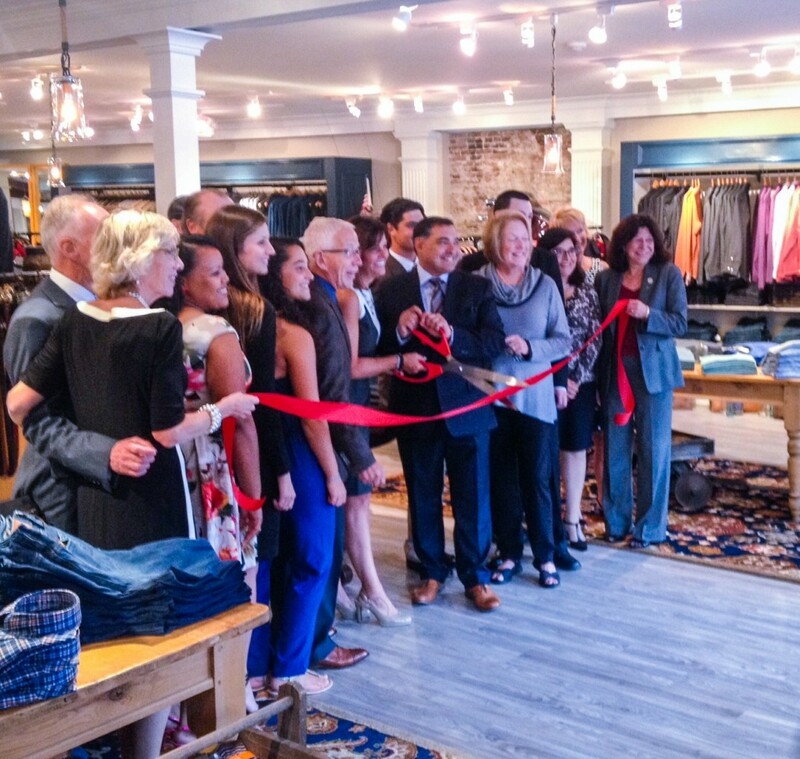 Sonora has an extensive customer portfolio and was instrumental in helping to launch Newburyport.Com. If you like our site give them a call and let Sonora help give you peace of mind. VIEW SONORA’S EXTENSIVE WEB DESIGN PORTFOLIO! Create and manage profiles on Facebook, Instagram, LinkedIn, Twitter, Google+ and YouTube. Share information via posts, tweets, and video postings. Collaborate with your peers and make valuable connections. Encourage feedback from your followers through questions, polls, and comments. Make sure your business profile is always up to date. Don’t forget to post at least three times a week in order to maintain a presence, suggests Social Media Today. Offer incentives to follow you or check you out; coupons, promotions, deals, specials…these all get customers actively engaged. Avoid using corporate jargon; save that for your website. 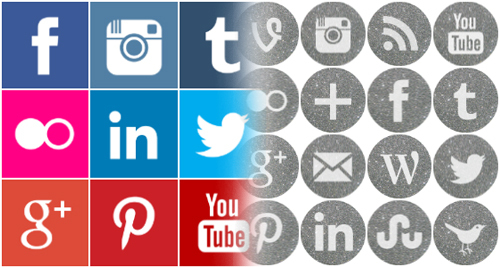 Incorporating a killer social media marketing strategy into your overall plan is important. It wasn’t always that way. A decade ago, social media wasn’t really a thing. Companies largely had to rely on traditional marketing methods. Today, the industry has evolved so much that if you don’t engage in social media marketing, you’ve missed the boat. 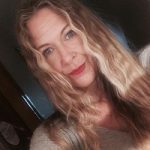 Social media is certainly a collaborative outlet for people in general; for businesses who want to take their advertising potential to the next level, it’s priceless. Sharing relevant content with users puts you in the realm of subject matter expert. It’s not enough to SAY you’re an expert at something. SHOW them. There are two sides to this approach: first, you should share news that directly affects your company, such as holiday hours, promotions, fundraisers and seasonal menu changes; second, you should share indirect information such as YouTube videos, blogs, or white papers that further illustrate your expertise or explain a process. 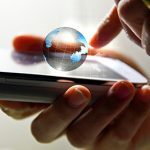 Social media marketing should be a key part of your overall strategy of increasing visibility of your business. 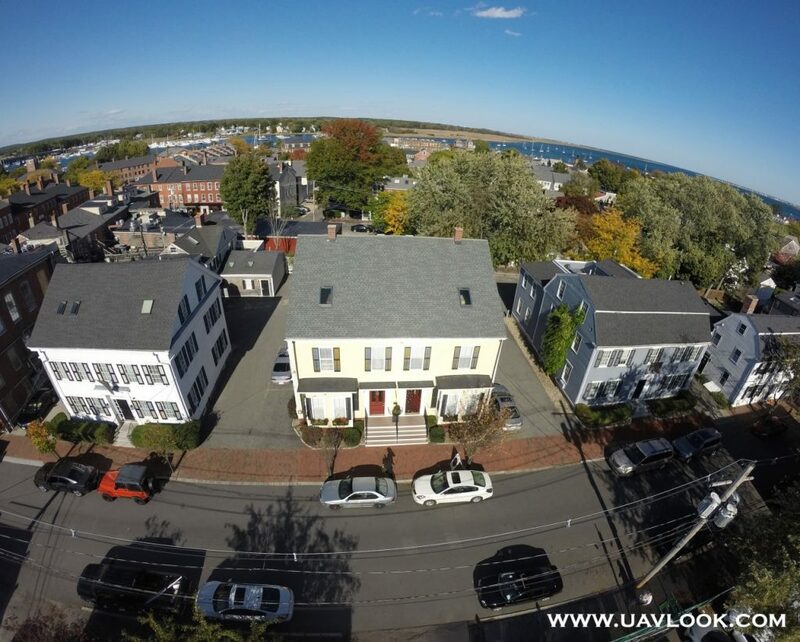 UAV Look is a professional aerial photography & video company based in Newburyport, MA. 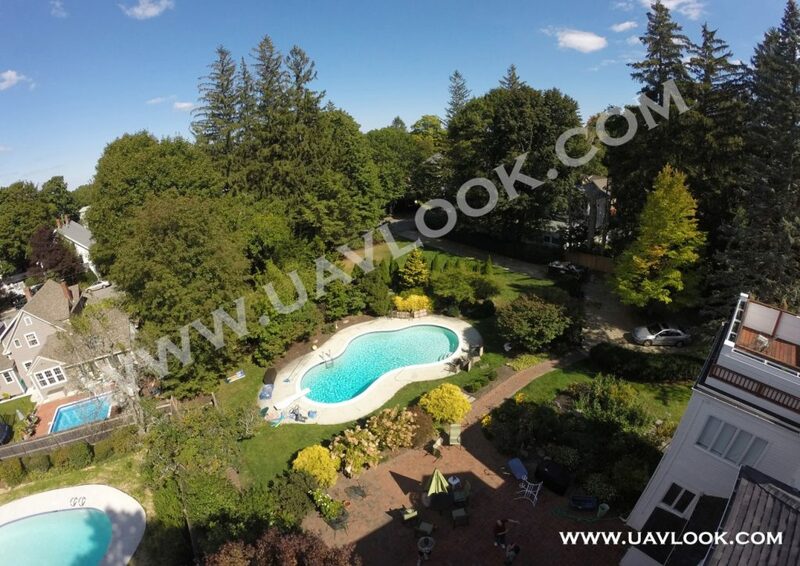 Using the latest unmanned aerial vehicle (UAV) technology, these creative experts deliver affordable and quality aerial images and video without having to hire expensive helicopter and plane pilots and photographers to get the same results! 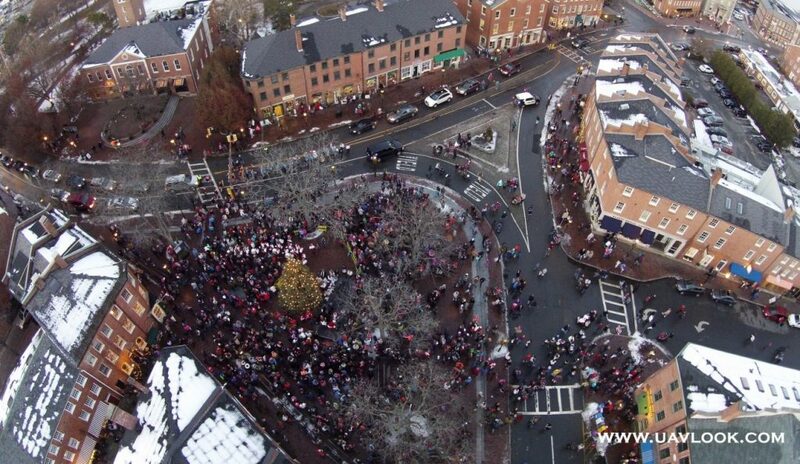 The possible uses for aerial photographs and video are endless. Use them for real-estate to either entice new listings, or catch the eyes of potential buyers. 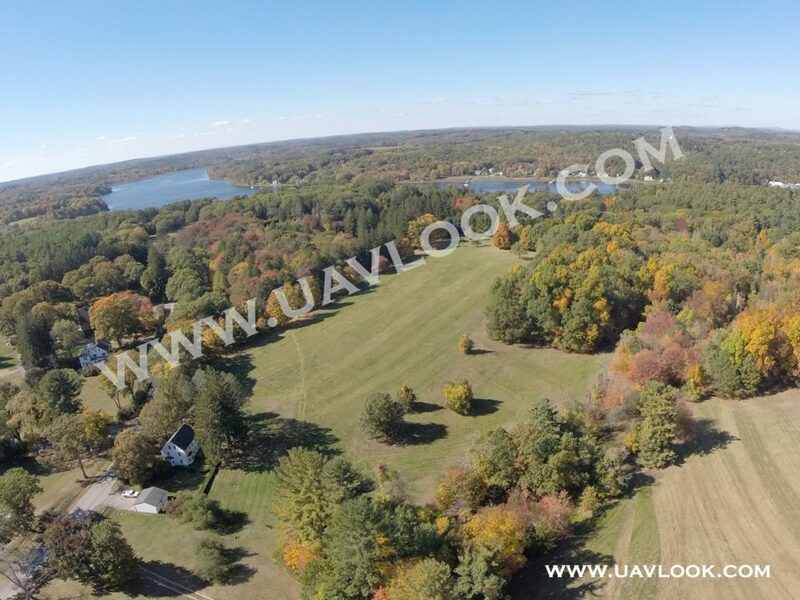 Get unique aerial photos and video of an event you’re hosting, from a concert, to a political rally, to your child’s sporting event or birthday party. 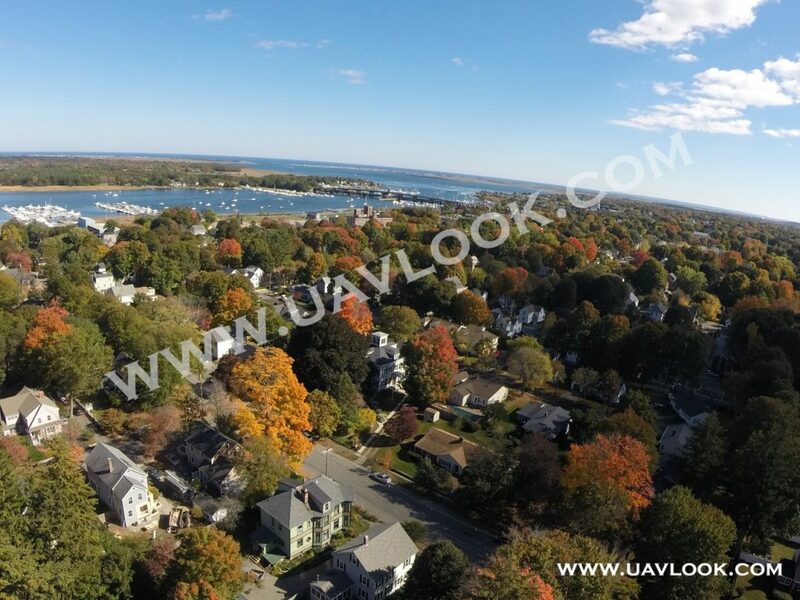 Even use an eye-catching aerial photograph or video for your business webpage or social media sites. 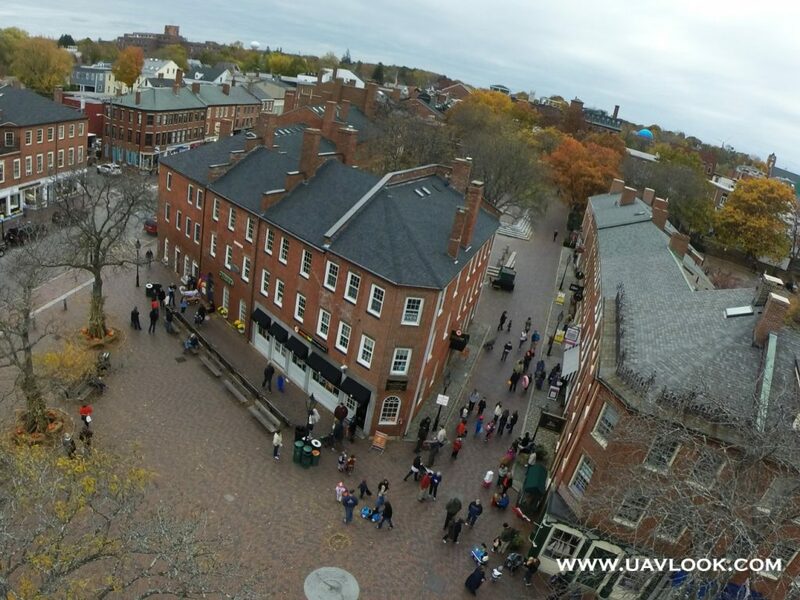 Maybe you’re filming a movie or commercial and want a few aerial clips? Or perhaps you simply want a cool and different photo of your property to hang above the mantel. 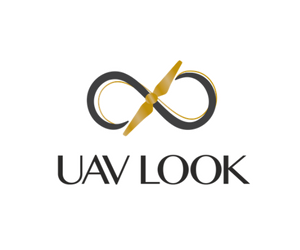 Whatever the reason, UAV Look is the professional company with the technical knowledge, piloting skills, and quality service that you need! 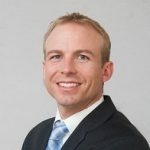 CEO of UAV Look, Aerial Photography and Video, Ethan founded his aerial photography and video company, UAV Look, in September 2014. He received his Bachelor's degree in Political Science in 2013 with a Minor in Law. He then earned a Master's degree in Public Administration with a concentration in Communications in May, 2014. 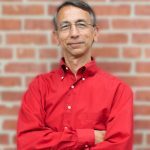 Having spent most of his life interested in computers and technology as a whole, he saw a business opportunity that would take advantage of the latest advancements in civilian drone development. 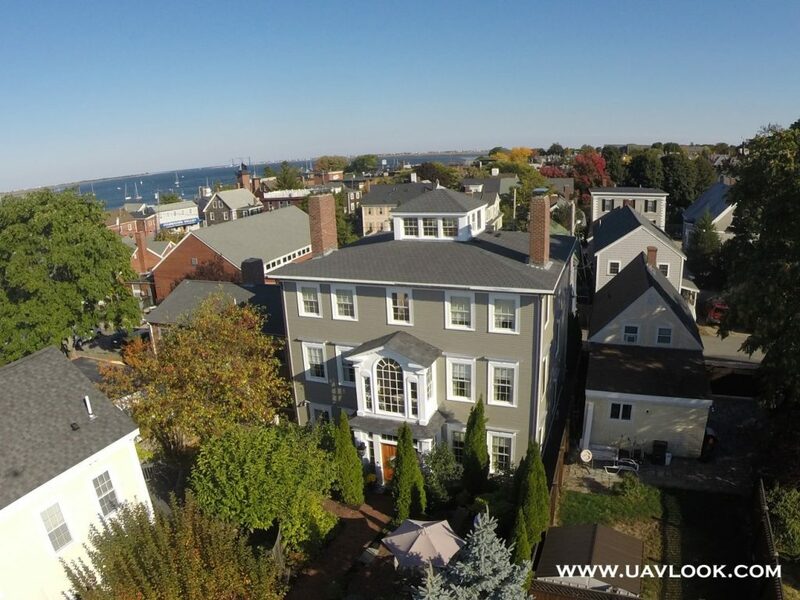 Ethan has become well known in the Greater Newburyport area for providing exciting drone coverage of major events. 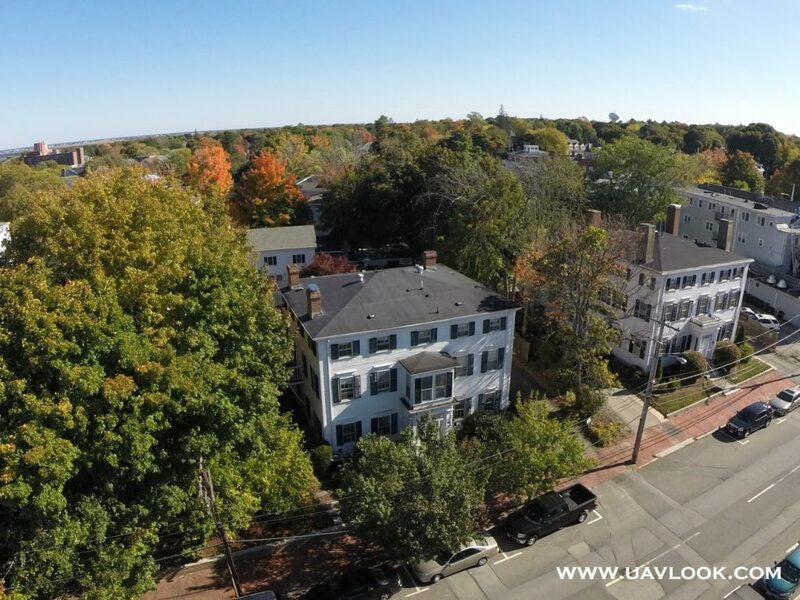 The Greater Newburyport Chamber of Commerce & Industry is a collective resource for business education, networking, advertising and collaboration, for local small businesses and the community. As advocates for economic development, the Newburyport Chamber is dedicated to promoting our small businesses and improving the overall quality of life in Newburyport. Founded in 1966, the Newburyport Chamber has played part in many urban renewal and development successes including the multi-million-dollar restoration of the city’s rundown waterfront and downtown, and the development of Newburyport’s Industrial Park that employs over 3,000 people. 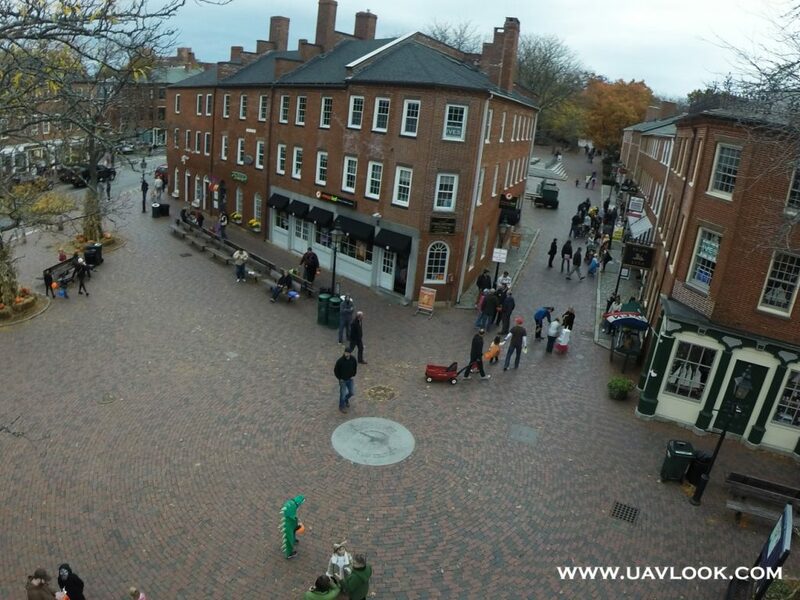 Today the Chamber of Commerce continues to pursue new ways to support the local small businesses of the Greater Newburyport area, as well as assist in big picture efforts of Keeping Newburyport an Enjoyable Place to Live, Work and Play. 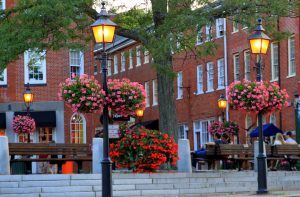 This extensive, year-round commitment includes everything from the organization and management of major events that boost the local economy, to purchasing the beautiful hanging planters that line the streets of Historic Market Square. Thanks to Suzanne DeGeorge for the wonderful picture of these baskets. Now as a select Community Partner, you can help the Chamber in their mission to raise money for the Chamber Beautification Program. Purchase one VIP Discount Card for $25 or two for $40 and $10 of your purchase is donated to the Newburyport Chamber’s Beautification Program. The VIP Card Loyalty Program rewards you with local discounts each time you visit any of the participating businesses. You can purchase online by filling out the form to the right. 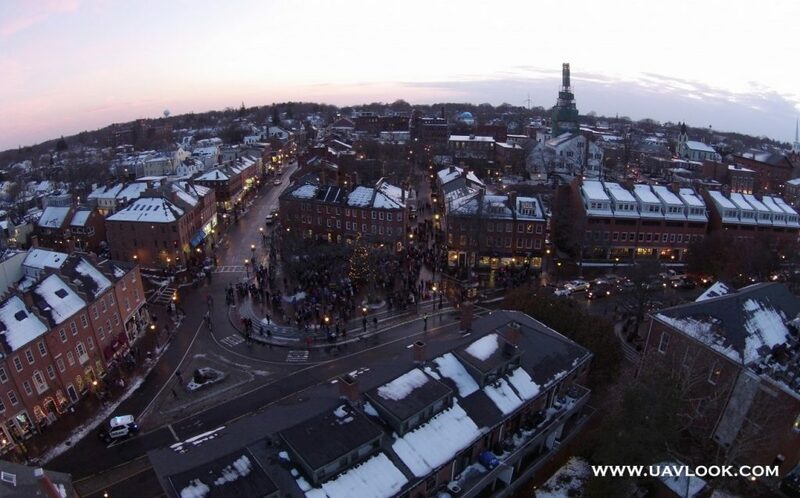 As a local small business, Newburyport.com is a proud member of the Chamber of Commerce. As an official Chamber “media partner” we are excited to jointly promote broad online awareness of “shop local” initiatives and large community events. Purchase one VIP Card for $25 or two for $40 on the order form below and $10 of your order will be automatically donated to The Chamber Beautification Program. Is financial planning something you do on your own, or do you have someone you can trust to manage your investments and provide financial guidance? Do you have a plan, and if so, do you adhere to it? Do you know if your investments are optimized? Most people agree that they should have an investment strategy and that it should be reviewed and updated periodically. Yet many people do not. It is important to prioritize financial planning and even more important to put that responsibility in the hands of a trusted financial adviser. 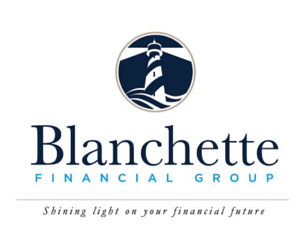 Blanchette Financial Group is a company you can trust, whether you have a simple statement question or you need guidance on more complex financial matter. 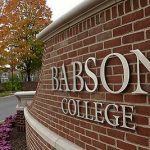 Steve can assist with managing investments, and planning for the future whether that be a 529 plan or assessing long-term care options for an aging parent. Take financial planning off of the to-do-list and schedule a meeting to review your specific needs. 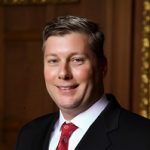 President of Blanchette Financial Group, Steve is a CFP®, AIF® offering tremendous experience with all aspects of financial planning and wealth management. 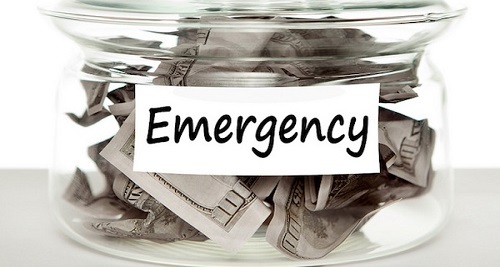 You’ve probably heard how important it is to establish and maintain an emergency fund. 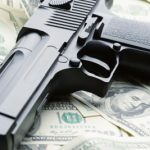 Unfortunately, most people don’t fully realize this until a money emergency is upon them. Are you financially prepared for a leaky roof? How about a broken-down car? If you lost your job, how long would you be able to support yourself and your family until you got a new one? An emergency fund is money that you’ve set aside for these unexpected situations, be it to handle a minor home repair or to pay for something more serious, like medical bills. 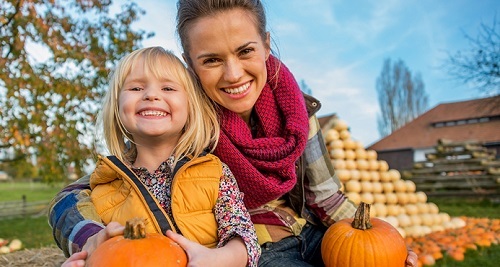 Despite the clear importance of having an emergency fund, however, more than three in five Americans have accumulated no savings for unforeseen expenses, according to a recent Bankrate report. There are plenty of free online tools that can help you figure out how much you should have on hand. HelloWallet’s emergency savings calculator, for example, offers instant insight into this planning consideration. It’s important to have easy access to your emergency fund when you need it. Consider keeping a portion of your money in a regular savings account, as it will provide some return and you’ll be able to withdraw it at any time without penalty. For longer-term funding, you might want to use a savings vehicle with higher interest, such as a certificate of deposit (CD) or multiple CDs. Using your credit card as an emergency fund. Although credit cards are convenient, there is a lot to consider before turning to plastic. Using your credit card may resolve the immediate need, but when you consider interest on the debt and possible penalties, it may not be worth it in the long run. Cheating other accounts to fund your emergency stash. Withdrawing money allocated to other resources, particularly your retirement savings account, can do long-term damage to your financial picture. For example, if you borrow from your retirement account and default on the loan, you could face serious tax implications and penalties. Think of it this way: taking cash out of your retirement account is like stealing from yourself in your golden years. Thinking you can’t afford it. The most common excuse for not maintaining an emergency fund is that you don’t make enough money to save. Although your budget may be tight, you don’t need to put away hundreds or thousands of dollars all at once. Starting small works just as well. Try brewing your morning coffee at home instead of buying it or bringing a bag lunch to work instead of going out. The savings may not be dramatic initially, but they will add up. Establish your savings goal, figure out how much money you need to put away every month, and stick to the plan. Remember: it’s better to have an emergency fund and never use it than to face hard times with no means to support yourself and your family. Certificates of deposit (CDs) typically offer a fixed rate of return if held to maturity, are generally insured by the FDIC or another government agency, and may impose a penalty for early withdrawal. 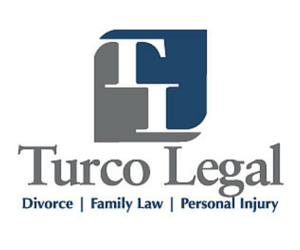 Searching for a top shelf real estate attorney? 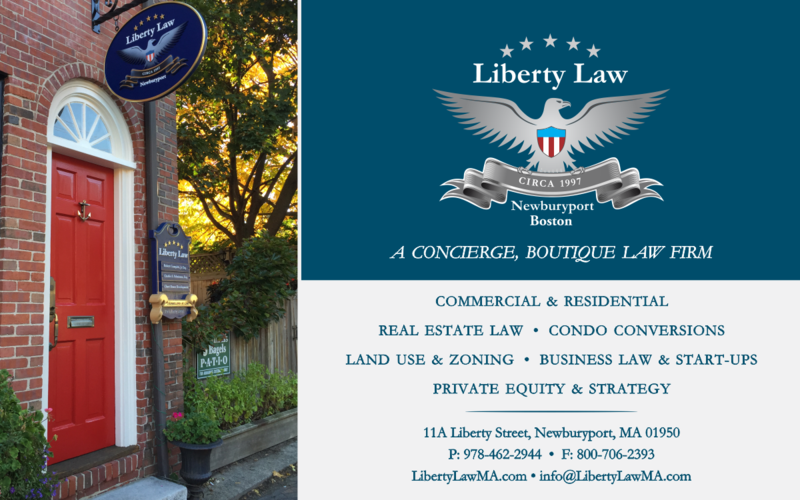 Liberty Law is a concierge, boutique law firm located in Newburyport, Massachusetts and concentrating in all aspects of Residential & Commercial Real Estate, Business, Venture Capital, Product / Invention Development and Licensing as well as private equity and strategy. The goal of the Firm is to manage these often competing business and legal areas professionally and in a manner which produces the most successful legal and business result for our clients in all areas of: Residential & Commercial Real Estate, Condo Conversions, Business Start-Up, Product / Invention Development & Licensing, Mergers & Acquisitions, Private Equity & Strategy. 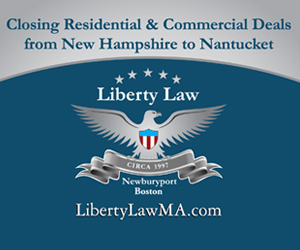 Liberty Law proudly represents major lending institutions and banks across New England and beyond as well as start-up companies and ventures, real estate development firms, manufacturing ventures, environmental engineering firms, closely held corporations and government agencies. In addition, the firm represents lenders, buyers and sellers of real estate in a variety of property matters from residential and commercial transactions and loans, to venture capital, business financing & funding, corporate concerns as well as inventors and product developers – including clients who, with our assistance from inception, have successfully licensed their product inventions into the mass-market retail channels such as Wal-Mart, K-Mart, Toys R Us, CVS, Bed Bath Beyond, Target and other retailers both domestically, and markets abroad. Through a professional and innovative approach to providing highly expert and competitive legal services, Liberty Law has earned the loyalty and confidence of our various and diverse client base. Whether searching for a real estate attorney or simply the answer to a real estate question, Liberty Law, a sophistocated boutique law firm draws upon the knowledge of these varying areas of law in an ever changing legal and regulatory environment, while plying our experience in complex negotiations for the advancement and protection our clients’ best interests. 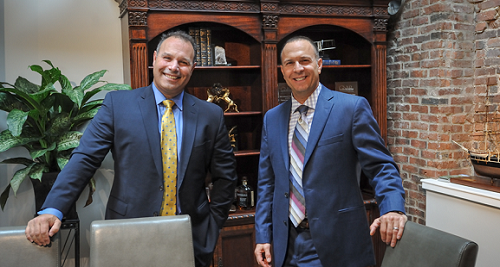 Founders Robert Ciampitti, Jr. and Charles S. Palmisano frequently author and lecturer on a variety of topics in business, zoning, environmental law and litigation and has co-authored contributions to Massachusetts Continuing Legal Education publications. 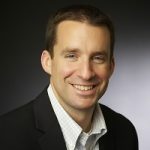 Attorney Ciampitti has also published in the nationally-circulated Environmental Law Journal on the topics of toxicology and expert testimony in proving environmental damages and is currently a Visiting Professor of Business Law at Salem State University, Salem, Massachusetts and Vice Chairman of the Newburyport, Massachusetts Zoning Board of Appeals. 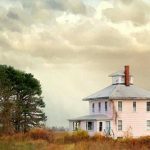 How can you be immediately in the know about Newburyport homes for sale? Contact one of the many exceptional real estate agents from BENTLEY’S Greater Newburyport, check new listings on the the Search Real Estate tab of Newburyport.com and sign up to receive alerts about new homes for sale in Newburyport. 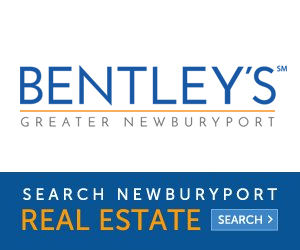 The BENTLEY’S Greater Newburyport Real Estate Team is an independent brokerage providing extensive experience helping clients buy and sell homes on the North Shore, Southern New Hampshire and down to Boston. BENTLEY’S has been the top producing real estate team in Essex Country for the the past four years and has a very strong reputation in the Greater Newburyport community. For most people, a home purchase or sale is the largest financial transaction they will make in their lifetime. It is critical to work with a real estate agent and company with a proven track record. 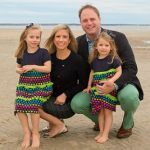 The BENTLEY’S Greater Newburyport team has sold more homes then any other real estate team on the North Shore so they offer tremendous experience as they are familiar with every possible scenario and can recommend optimal solutions. There are so many homes for sale. When you find the one you love you need an agent who can negotiate on your behalf and ensure that they help secure your dream home. If you are selling you are looking for someone who can help position the unique attributes of your property and help get you the highest possible price point. Team Leader Robert Bentley is Greater Newburyport’s No. 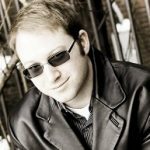 1 Real Estate Agent for six consecutive years (2011-2016), and a Power Player for REAL Estate Talk Boston on Boston.com. 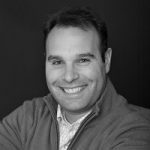 Follow his team as they provide real estate reviews and share with you amazing luxury listings for sale in the Newburyport area. You can also search all MLS listings here for free, or receive an online estimate of your property with BENTLEY’S exclusive Bestimate tool. 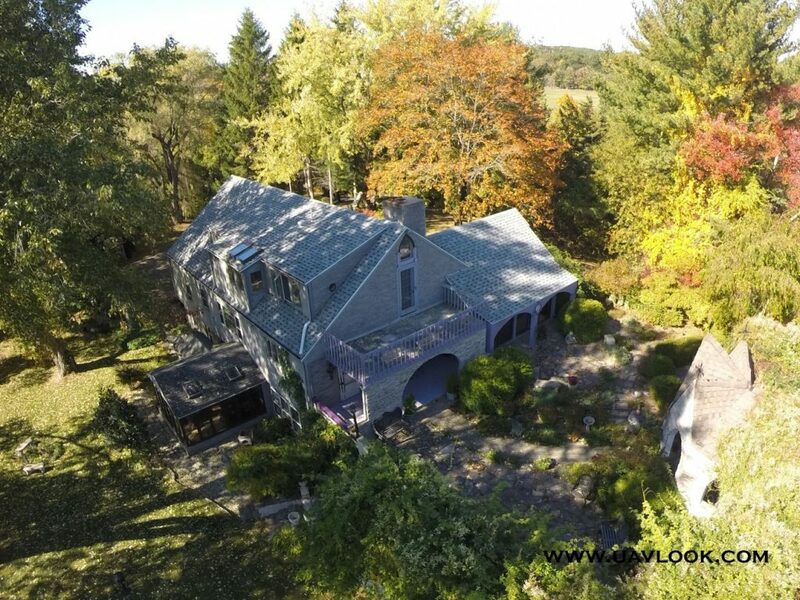 Explore this 18th Century luxury listing on the Upper Green in Newbury, MA. A true antique redesign, with a combination of historic architecture and fresh interior renovations. Based out of Hampton Airfield in North Hampton, New Hampshire, Sky Lines Aerial Ads cater to the New England coastline flying 5′ Red Letter Banners and Flying Billboards as large as 30′ tall by 100′ long. Servicing all of New England including Old Orchard Beach to Kittery, Portsmouth, Rye, North Hampton, Hampton, Seabrook, Salisbury, and all venues including Boston, Cape Cod and the Islands. 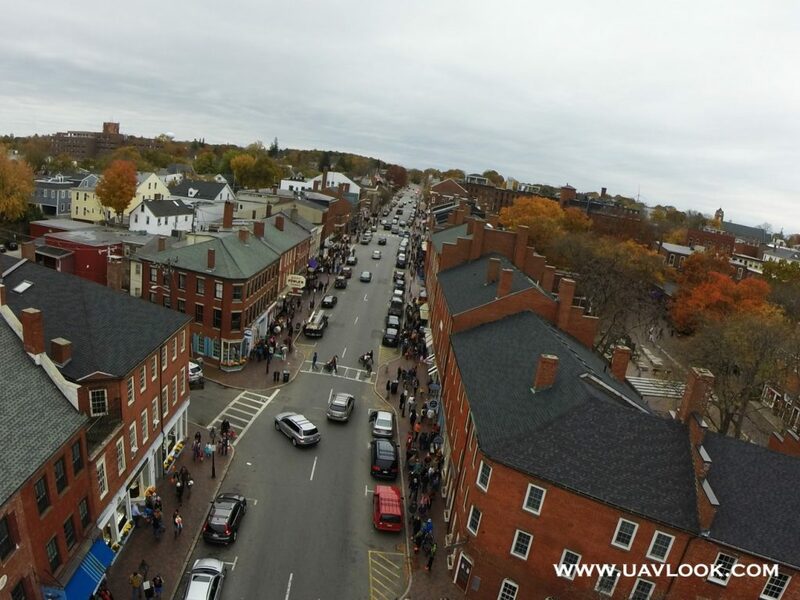 Headliner events gaining exposure from Sky Lines Aerial Ads includes Bike Week in Laconia, NH, NASCAR at New Hampshire Motor Speedway in Loudon, and of course, various events throughout Newburyport, Massachusetts on behalf of Newburyport.com.